NOVA SCOTIA (winesofnovascotia.ca): This is a young growing region with only 20 wineries really only starting out in the eighties and sparked by Sparkling wine success in the mid 2000s led by quality producer Benjamin Bridge with their complex long lees aging 2004 cuvee of pinot noir and chardonnay. Current release is their Brut Methode Classique 2011. The main regions are Annapolis Valley (vines were cultivated by French settlers in the 1600s) & Malagash Peninsula including glacial soils with a maritime temperate influence by the Atlantic Ocean & Gulfstream and those amazing 16 metre tide swings in the Bay of Fundy. A unique “Tidal Bay” appellation requires 100% Nova Scotia grown grapes (led by L’Acadie Blanc, Ortega, New York Muscat, Cayuga, Seyval, Vidal and others) with a maximum 11 degrees alcohol approved by a blind tasting panel for that aromatic crisp greener style. 2015 Jost $20 showed off dry (10 g/l residual sugar) but crisp 8.7 total acidity with floral aromatics contributed by 12% New York Muscat in the blend. Encouraging wines from Gaspereau Vineyards showing a vibrant structured varietal 2015 Riesling $20 and Blomidon Estate 2014 Chardonnay $33 harvested on November 4 barrel fermented with 10 months lees contact at 12.8 alcohol. Try fun 2015 Phone Box Fizz from Luckett Vineyards. Much prefer the Nova Scotia whites (especially the exciting bubbles) over the reds (often using Baco Noir & Lucie Kuhlmann). ONTARIO (winecountryontario.ca & vqawinesofontario.ca): Wonderful fresh wines with an emphasis on the white varieties of Riesling & Chardonnay and for red Pinot Noir, Cabernet Franc & Gamay Noir. 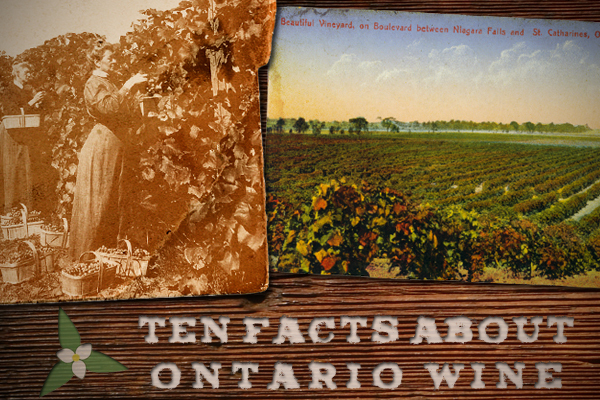 Wine since 1873 but now 165 VQA wineries on 17,000 acres (690 hectares) with 10 distinct sub appellations. The Great Lakes (largest fresh water system in the world) and the Escarpment provide important influencing factors. Excellent ancient limestone soils in Prince Edward County. Several educational seminars allowed you to Discover Ontario’s Cool and their Star Whites. Enjoyed the Poised For Pinot seminar showing 12 different pinot noirs (10 from the rainy leaner 2013 & 2 from the warmer more generous 2014). That typical lovely delicate lighter cherry fruit really shone brightly though a few were just too lean & green. Quality pinot noir grapes are increasing in value now over $2000/Ton. My favourites included the 2013s of deep Domaine Queylus Le Grande Reserve , lively aromatics Flat Rock Gravity, fruity Tawse Cherry Avenue, floral Norman Hardie County, very light but fragrant Thomas Bachelder Lowery Vineyard and stylish Hidden Bench Locust Lane (also have an incredible 2014 Estate Riesling $29 age-worthy plus so full of minerality). Now into their 7th generation the Chateau des Charmes 2014 Cabernet Franc St David’s Bench $28 picked November 2 at 24 Brix showed blackberry, raspberry full flavoured French oak aged with 5.8 g/l residual sugar. A have a soft spot for the wonderful Pillitteri Estates Icewines from Niagara Peninsula. Their 2013 Riesling (200 ml. format) has remarkable balanced acidity while the rich Reserve 2013 Vidal (375 ml) was harvested at 40.2 Brix with 216 g/l residual sugar. Charles Pillitteri tells me the 2014s look very encouraging and his favourite for best overall balance ever was the 1997 vintage. BC (winebc.com): Wine first made for sacramental purposes in 1859 but BC’s wine industry has exploded from just 17 grape wineries on 1476 acres in 1990 to over 275 today on 10260 acres. Such a diversity of high quality wines ranging from a delicate lighter style all the way to rich ripe powerful reds with so many emerging successful varieties. Too many outstanding wines with a special unique fruit acidity showing freshness and purity to list them here. Some special events included Mission Hill Family Estate Oculus (Bordeaux style blend with roughly 50% merlot) Retrospective back to 2005 that showed the results of low yields (2-2 1/2 Tons/acre) from precision viticulture. Canopy management, cane & spur pruning, shoot & leaf removal, cluster thinning, targeted and measured irrigation management, knowing where the best fruit is and handpicking the selection with several passes, night picking for cooler fruit for maximum flavour retention all contribute to the amazing quality! 2012 is a cooler year with more cab franc while 2014 is a stunning vintage for all varieties with rich ripe fruit. Very impressed also by the new Martin’s Lane (winery opening this April) Riesling 2014 from the Naramata Bench & their sensational elegant so complex Pinot Noir 2014 from a steep slope with 3 clones, 4 vineyards and 20 selections. One Faith Vineyards of proprietor Bill Lui (assisted now by Pascal Madevon in the vineyard & Jacq Kemp Winemaker for Moraine in the cellar) showed for comparison his expensive Grand Vin in 3 vintages of 2012, 2013 & 2014. All 5 of the Checkmate 2013 Chardonnay are world class with the Queen Taken at $125 showing what a 40 year old heritage vineyard grown on the Golden Mile sub-region can produce. 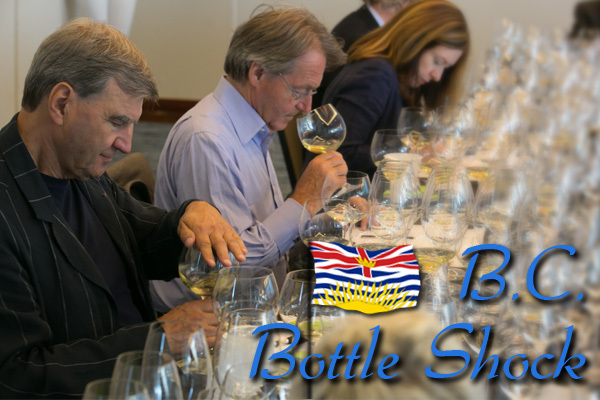 Some seminars featured the BC winery pioneers against the New Kids on the Block. Your scribe was yet again so excited by the improved bubbles, the Rieslings, the Pinot Noirs (even Foxtrot Vineyards was participating), the Cab Francs and the Syrahs among so many winners. You don’t know what you are missing. Get to know this emerging wine region better! 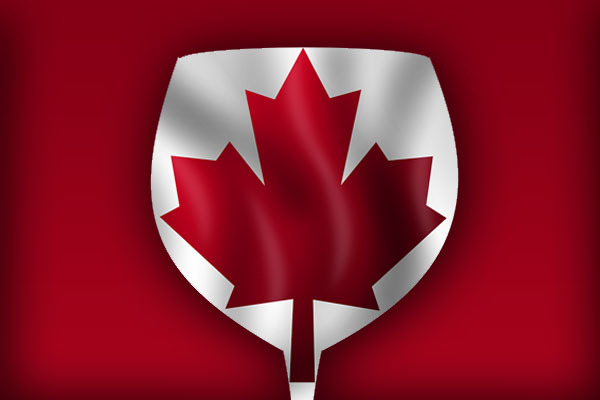 Have you tasted wine from all 3 provinces?